L’Oreal Paris released skincare products in a solution-based series of dermatologist-validated serums formulated with potent ingredients including Vitamin C and Hyaluronic Acid. These have a clean formula containing the highest concentrations of popular skin care ingredients. The collection was created by L’Oréal, before being validated and audited by a panel of respected dermatologists. The products in this range were tested on every skin type, including sensitive skin. In this post, I am featuring the two products that are part of the Derm Intensives collection. Intensive hydrating 1.5% pure Hyaluronic Acid serum plumps skin and reduces wrinkles. 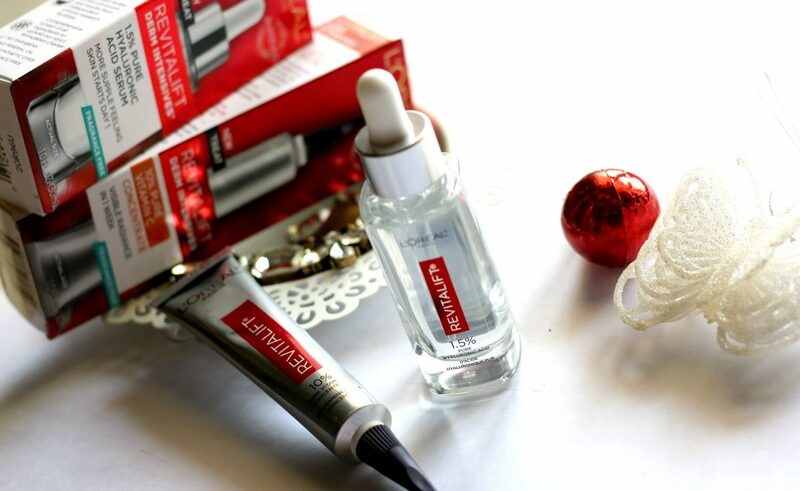 According to L’Oreal, Revitalift Derm Intensive Hyaluronic Acid Serum is a dermatologist validated, highly-concentrated, anti-aging plumping hyaluronic acid serum that immediately hydrates and fills wrinkles in 2 weeks. ‘hyaluronic acid’ is a popular term in skincare. Seriously, this product is loved by every generation and gender. Think of hyaluronic acid like water for your skin. It is able to hold up to 1,000 times its molecular weight in water. Hyaluronic acid penetrates the skin and binds water to skin cells, infusing all layers of the skin with valuable, rejuvenating moisture. Our skin does not need a bunch of other ingredients and fillers to be effective. In fact, hyaluronic acid is the perfect example of how limited ingredient skincare can deliver real results. Pure Hyaluronic Acid Serum can be layered with other products. Though L’Oreal Derm Intensive 1.5% Pure Hyaluronic Acid Serum is Fragrance free, Paraben free. No mineral oil or synthetic dyes and suitable for sensitive skin – It’s ingredient list is not great! Like I mentioned earlier- Pure Hyaluronic acid serum needn’t include a lot of fillers for it to be effective. The formula has been designed to provide a dual plumping and hydration effect by combining hyaluronic acid of both high and low molecular weight. 0.5% High Molecular Weight Hyaluronic Acid: This higher molecular weight will remain on top of the skin, without a tacky feeling to provide immediate plumping effect on dry fine lines. 1% Low Molecular Weight Hyaluronic Acid: Low Molecular Weight will penetrate the skin’s surface layer to plump from within. This formula has also been developed and tested to be safe for sensitive skin. Love that the formula sinks into skin fairly quickly, but I hate the tacky, stretchy dry feeling afterwards. Not at all hydrating. Kind of dry and stretchy is what I felt. While I like the fact that It has no fragrance, I am not much impressed with it’s packaging or the ingredient list either. Water and Glycerine are the main ingredients. Those are the first two ingredients followed by Hydroxyethylpiperazine Ethane Sulfonic Acid and Sodium Hyaluronate or Hyaluronic Acid. According to Paula’s Choice – There’s research indicating that hydroxyethylpiperazine ethane sulfonic acid can generate free radical damage in the presence of oxygen, which means it could be a problem when used in skincare products. Whole point of using this product is to fight free radical damage. I would be skeptical to use a product which actually generate the damage. 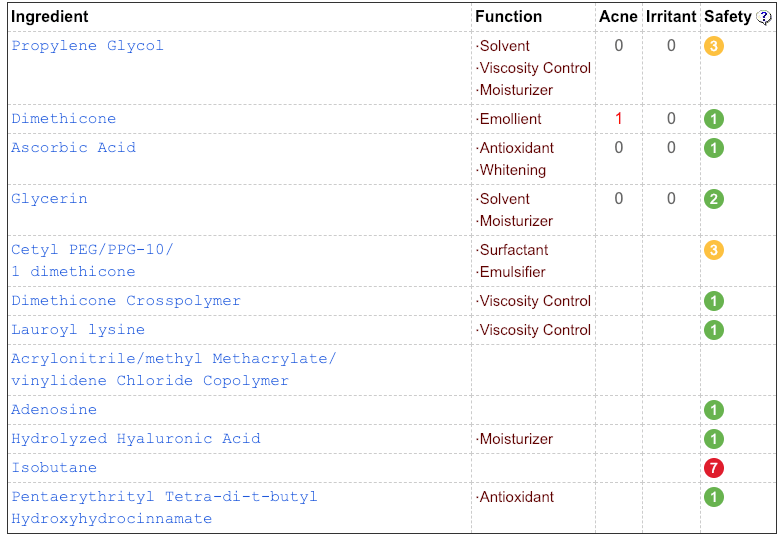 Though it’s allergy and acne tested etc…I would still consider more potent other products from brands like ‘The Ordinary’, Drunk Elephant’ etc than using something which contain so many fillers. 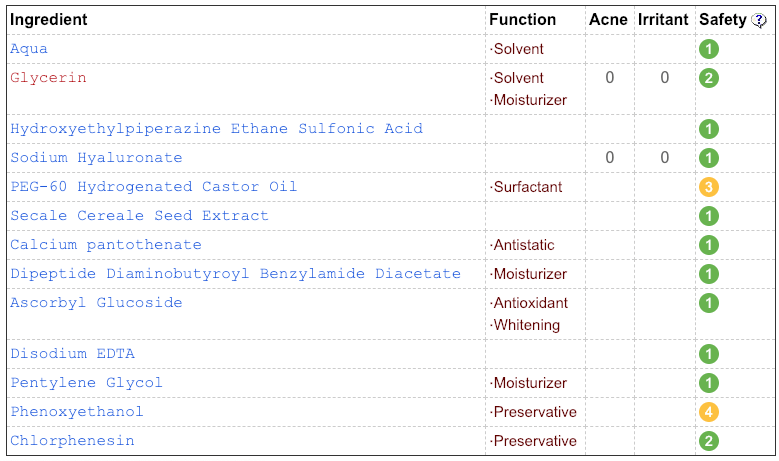 There are many better serum alternatives with better ingredient list. L’Oreal suggest to use this serum during morning and evening, apply two to three drops to the face and neck, avoiding the eye area. 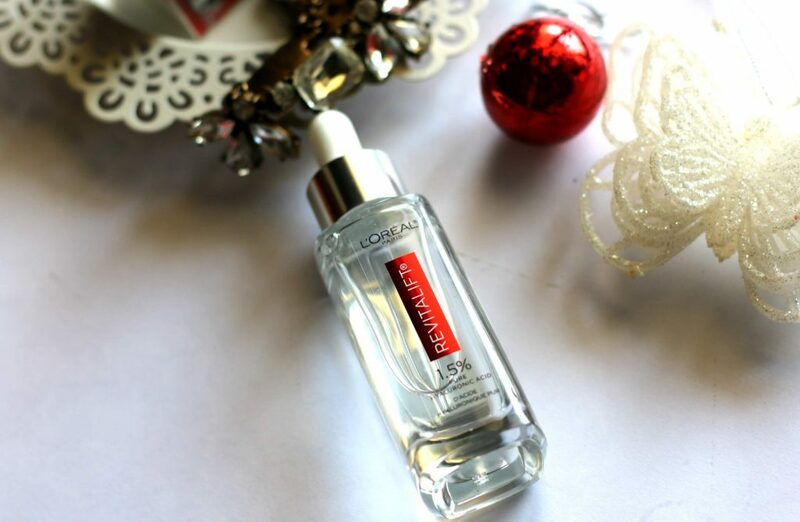 For best results, L’Oreal suggest to use the serum after cleansing. I dislike this product and I am not too keen on its clear glass bottle packaging. As the serum comes housed in a clear glass bottle with a dropper dispenser. As it is clear, and the formula contains ingredients that can break down in the presence of light, you’ll need to make sure that you always store it in a dark place to make sure those ingredients stay potent over time. A good tip to remember while selecting skincare products is – A number of preservatives used in most products can break down your barrier by killing off the good bacteria that also defend the surface of your skin against toxins. Result is a loss of moisture, skin irritation etc. Always search and find out products with limited ingredients and not a lot of preservatives. People with Oily or acne-prone skin most likely would want to apply harsher chemicals to “strip” that extra oil off skin. It’s important to know that most acne-prone skin doesn’t have a strong lipid barrier, which encourages inflammation and irritation. Pure Hyaluronic Serum adds hydration, helps protect the lipid barrier, and is recommended for those with sensitive or acne-prone skin. Though hyaluronic acid helps reduce and prevent age spots and pigmentation issues. It cannot do it on it’s own. If you are looking to treat dark spots, a vitamin c serum and vitamin c booster should be paired with hyaluronic acid. Revitalift Derm Intensives also has a 10% Pure Vitamin C Serum. L’Oreal’s Paris skincare products are mostly miss for me. I never had high hopes for this Vitamin C Serum after using Hyaluronic Acid from the same range. This Revitalift Derm Intensives 10% Vitamin C Concentrate is definitely a “hit” product for me. In the next section I am going to tell you why. The first yay factor here is the packaging. This cream product is packaged in a foil squeeze tube that protects its star ingredient from exposure to light and air (vitamin C can lose its potency in the presence of both). Next positive factor is its consistency. The creamy gel texture is easy to apply, absorbs quickly too. It’s suitable for every skin type. Now, the most impressive part about this is it contains 10% vitamin C (ascorbic acid) along with other ingredients. It’s formulated without water and produced in controlled conditions to minimize oxygen exposure. Fragrance, free, paraben free. No mineral oil or synthetic dyes. Suitable for sensitive skin. Vitamin C helps improve skin’s radiance and keep your skin smooth. I felt, this would have included more antioxidants like some of the best Vitamin C products in the market. If you are planning to include hyaluronic acid and Vitamin C serum in your skincare routine. Here is how you do it step by step — After cleansing, hyaluronic acid should be the immediate next step before any other treatments or moisturizers. Every morning and evening, apply 2-3 drops to the face and neck, avoiding the eye area. 10% Pure Vitamin C Concentrate consistency is thicker. The rich formula does make a slightly warm effect when applied, and it’s perfectly ok. No skin irritation or anything. Remember to apply sunscreen over it during the day! For $23, It’s a great drugstore option for a Vitamin C serum. After a month’s usage, one tube is over. I could see a change on my dull looking skin. fragrance-free, no parabens, no mineral oil, and no synthetic dyes too. Derm Intensives 10% Vitamin C Serum is my favorite out of the two. Availability – available online and in stores, including Walgreens, Target, ULTA and more. 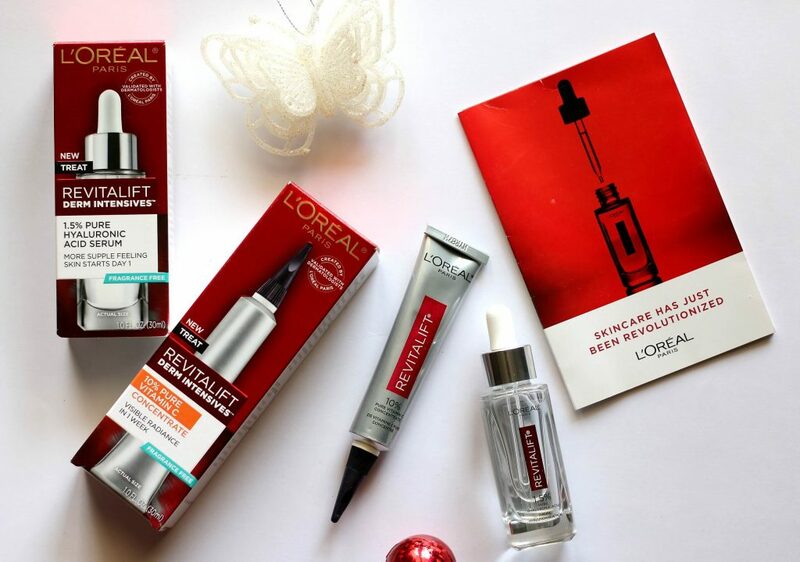 Have you tried L’Oréal Paris RevitaLift Derm Intensives range ? ** Product Samples received for free from @Influenster, and this is my honest experience with these products. I prefer fragrance free products like these, but I wish they didn’t contain too many chemicals in them. Glad to see that you’ve added the CosDNA reference. Hyaluronic acid serum looks interesting! will give ut a try! I have entered 35+ and have started getting signs of aging..I had been using olay but I think its time to try something else …would buy this one and try..
Wow Renji you reviewed everything in detail and so clear. I would really want to try vitamin c serum. I’m glad that these are fragrance free, since I like my skin care to be Unscented. The Vitamin C Serum intrigues me more. Such a detailed review girl ..lovely clicks n informative post..